These are just a few of the words our clients and their guests have used to describe our white dove releases. 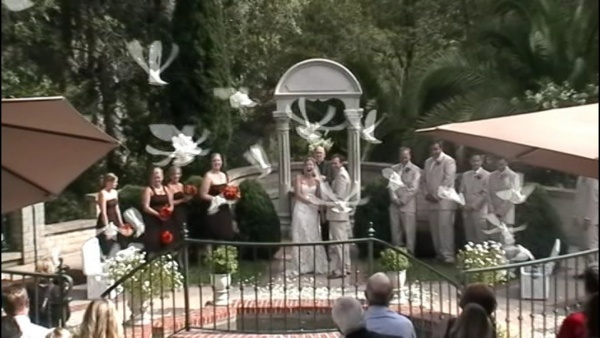 Since ancient times, the dove has been an important symbol of Love, Peace, and Joy. From the time I was a young boy, nature has always fascinated me. 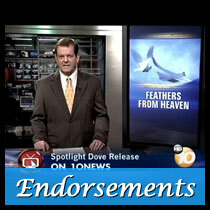 I’ve raised doves (pigeons), since I was just 10 years old. 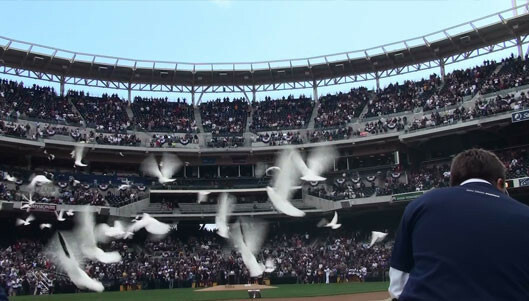 As an undergraduate at the University of Notre Dame, and even in law school at the University Of California, Berkley, I’ve always raised pigeons. As president of the San Diego County Humane Society for 5 years, I was privileged to work with many San Diegans who love all God’s creatures. During my tenure as president, I continued to foster my passion for the welfare of animals. 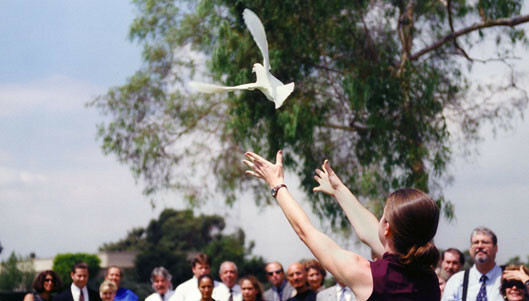 With more than 20 years of experience releasing White Doves at weddings, memorials, celebrations and special events, my team and I have developed a wonderful reputation for service, presence, dependability, timing and choreography. All of our releases are custom-designed for our clients, and we’ve even been featured in the “Best of San Diego” edition of San Diego Magazine. 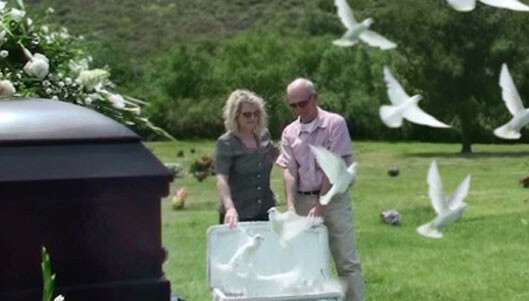 We are able to provide white dove releases with anywhere from 2 to 200 birds. 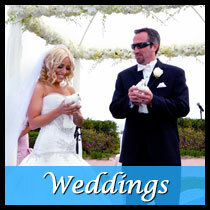 No other provider in San Diego County has that ability or experience. 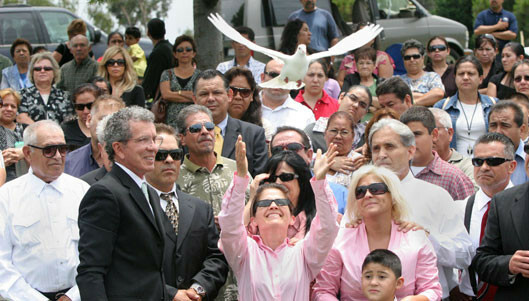 We are often requested to perform dove releases in Spanish as well. Se habla espanol! 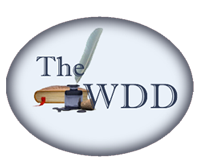 Please take a few moments to check out any of the categories listed on our home page. 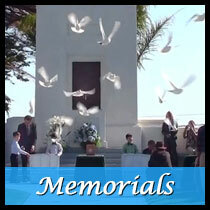 Each category includes a video which offers a first-hand demonstration of how we release our beautiful doves. 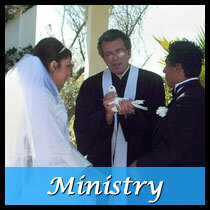 We look forward to hearing from you and learning more about how we can serve you. We would love to count you among our list of valued friends and clients. 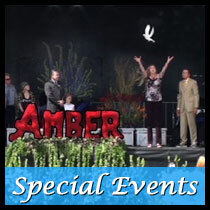 We offer competitively-priced “standard services”, as well as “premium services” that are unique to Feathers From Heaven White Dove Release. Please feel free to call us or contact us online to learn more about our standard and premium services today.